“How could it be so? How are all the armchair coaches in Habs Nation doing today? We beat the Leafs. No, we SMOKED them. 4-1. Masterton candidate pulled from the net. 4 unanswered goals, no less. With our backup goalie. In their territory. And Carey was the only one who sat the game out. Therrien, once again, called his own shots, dressed everybody else, and it turns out, made the best decision. And in the game that Hockey Night in Canada was practically drenching us with their drool over the inevitable Habs / Leafs matchup in a so-called “Forever Rivalry,” for the first round after the Leafs beat the Habs to a bloody pulp in the so-called “Game 1” of that series… we won. We did it with Markov. We did it without Price. We did it with Whitey, Patches and Lars! And the Leafs puzzled three hours, ’till Kadri’s whiny face was sore. 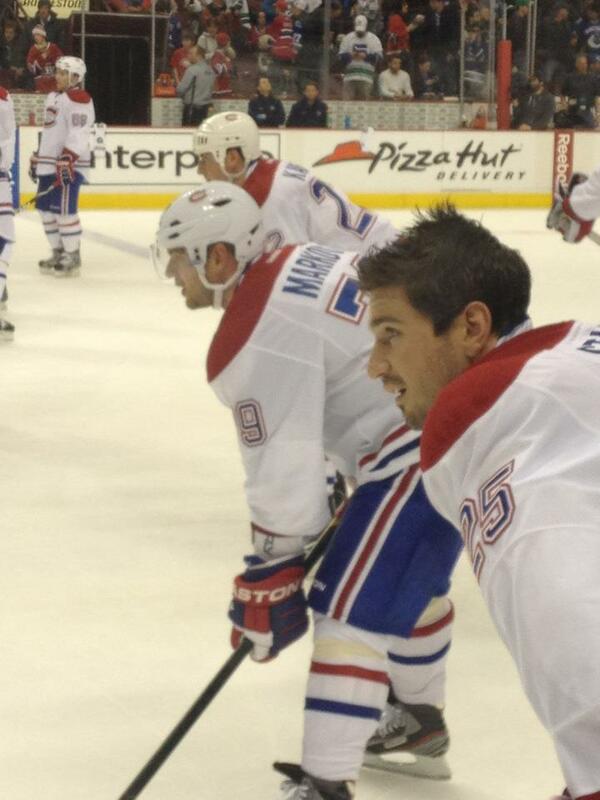 Then haters from Habs Nation thought of something they hadn’t before! Maybe this team, they thought, doesn’t give up when down. Maybe this team… perhaps… doesn’t give a crap that they’re midgets and small and doesn’t listen to Toronto trash-talk or CBC or PJ Stock or Glen Healy or all the moaners talking about how they’re going to get swept in 4 in Round 1 and how it’s already time to hit the golf course, and can play their game and focus on only themselves. I felt a little earthquake last night when all the haters hopped back on the bandwagon. Settle in, guys. It’s gonna be a great ride. Check it. 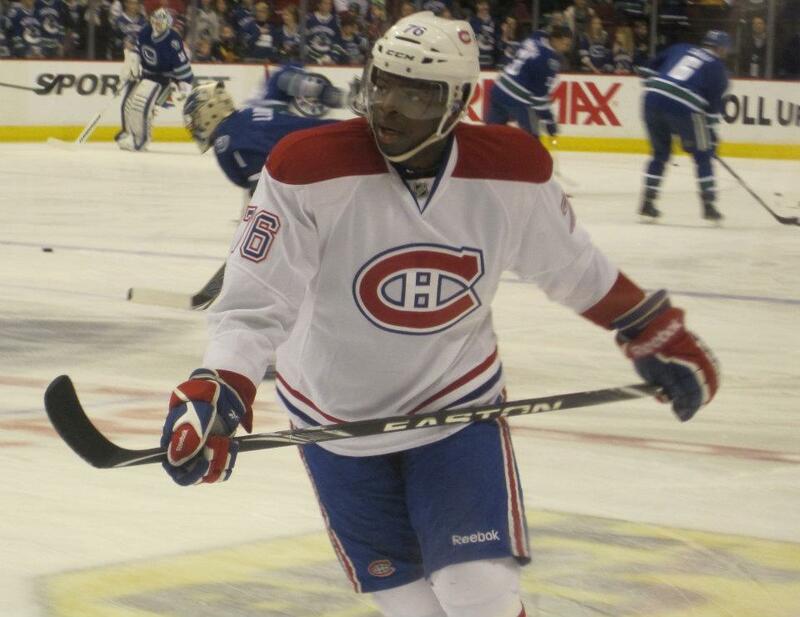 It’s written by yours truly to Twitter, the night before the Habs were due to play in Vancouver. 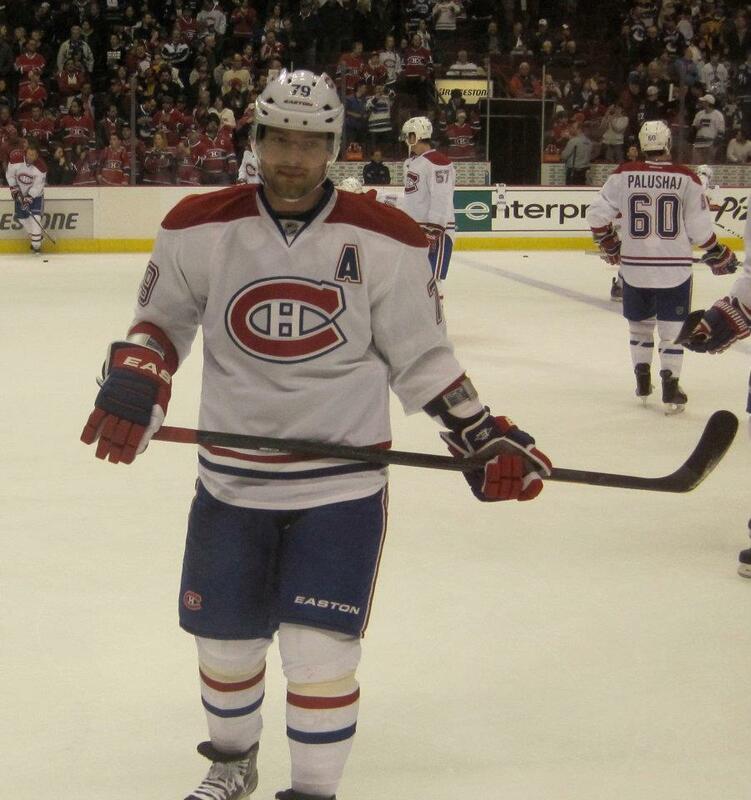 I know, it’s been two weeks, and I really should have blogged about March 10th, the night the Habs played in Vancouver, the night I look forward to all year, way before now. However, mama’s been busy, like way busier than usual even, and then it seemed like old news and way too late to blog, but then the Habs won in regulation last night for the first time since March 10th, and I saw a tie-in opportunity, so here we are. 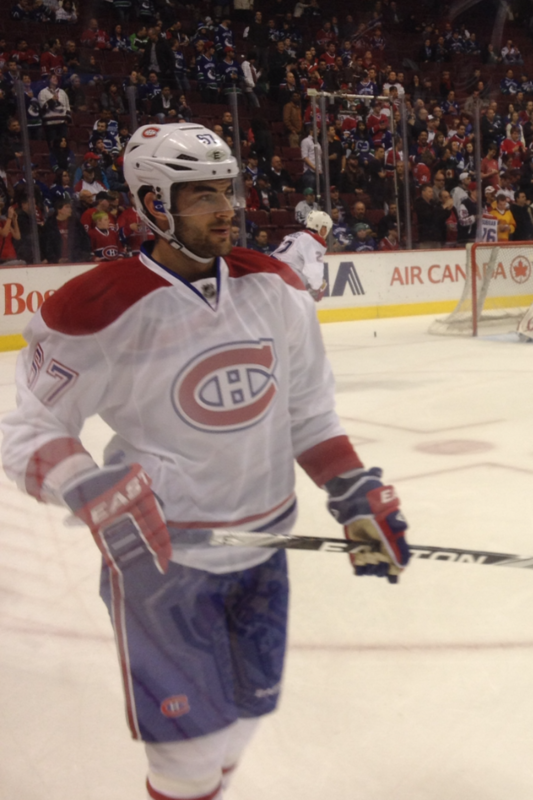 So I voiced my private fantasy to Twitter, that my very favourite player on the Habs who I have this (un)secret thing for, would play for the first time in 16 months on the very and only night I could be present to see him. 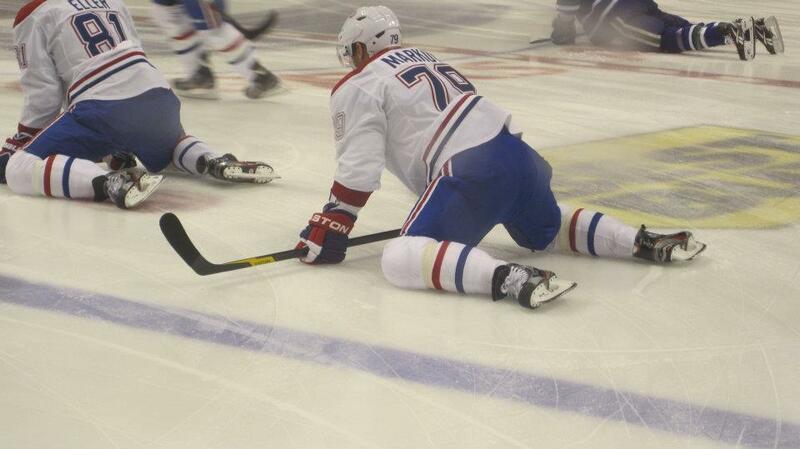 And oh, Andrei. Didn’t you just. Of course I’m no sort of clairvoyant, Andrei had been travelling with the team and rumours had been running rampant the whole road trip, and I could never decide if the rumours made my heart sing, or break. 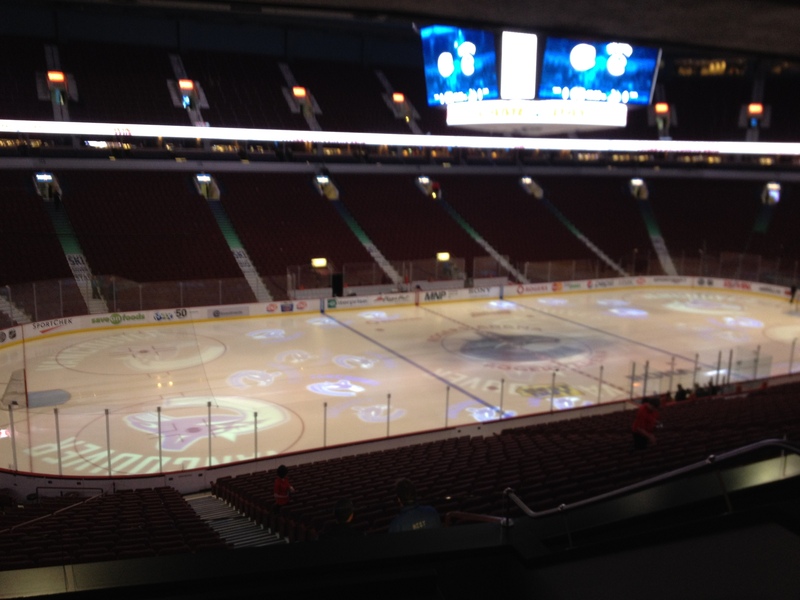 And then, the day or two before the game in Vancouver, no one was talking much about it, and I thought “it’s too quiet”. I felt something was up. And then I tweeted my tweet. It was met with the usual “dream on” and Mr. Injury Prone responses, but I held onto my dream. The next morning the rumours were back, and I told everyone to can it because my heart couldn’t take it. 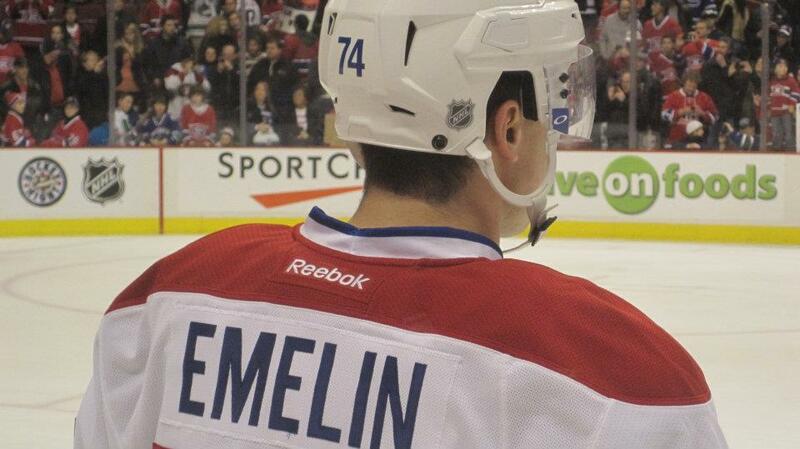 And then, the Habs confirmed it. Andrei had been taken off the injury list. He wasn’t confirmed to play, however, just off the injury list. I said to myself, “self, you’re going to see Andrei on the ice tonight. And you will be there. And he will be there. And you’ll BOTH BE THERE.” As if they’d make that big announcement if they had no intention of playing him. I even took the trouble to post it to Facebook, which I’m never even on anymore. I was actually ill with excitement and anticipation. Well, I was also just ill. I’d been hit with a sledgehammer of a cold or bronchitis or the plague or something just a few days earlier and was still feeling awful but no longer like I was dying and I was popping Benylins like popcorn because there was no way I was staying home and missing the Habs play in Vancouver and there was NO WAY I was missing Markov’s return. I was also faced with a dilemma. I had said I was wearing my #67 jersey for the game, had actually been planning to ever since I’d acquired it the previous summer. Max Pacioretty, a prince among men, had recovered from a murder attempt exactly 1 year and 2 days earlier, and had rebounded way beyond anyone’s expectations, scoring his THIRTIETH goal of the season just 2 days earlier, on the anniversary of the hit that could have ended his life, let alone his career. Max. 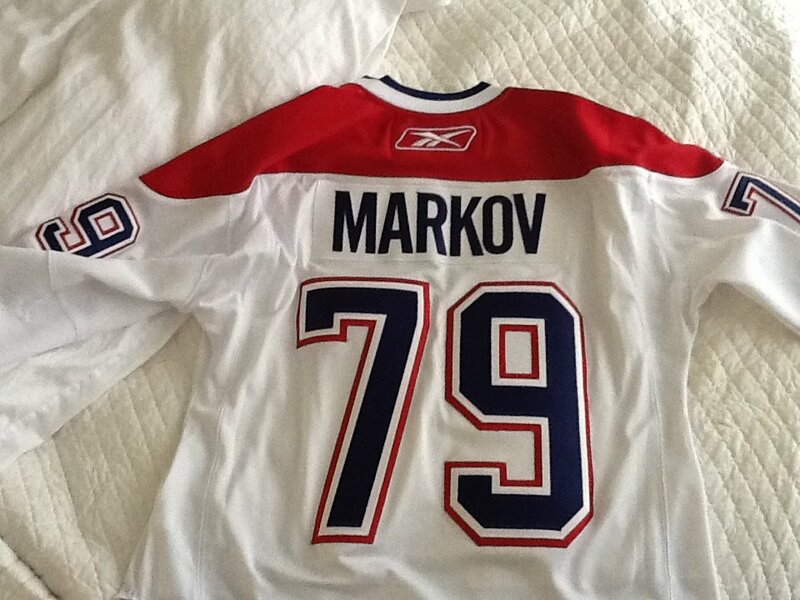 Max knows how I feel about him and I decided if I made a last minute wardrobe decision and wore the Markov jersey, he would understand. Anyone who can forgive the man who tried to kill him would forgive me for wearing my #79 jersey in honour of Andrei’s first game back. I have one in red, and one in white. I wanted to make extra-sure they’d be in their away jerseys that night (last year they wore red) because I wanted to match, and once it had been confirmed to me by various Twitter friends, I laid my white one out, got ready, and went downtown early so I could grab a good spot down at ice level for warmups. This is how early I got there. And I got a pretty good spot. It was magic. The guys skating right by me, mere inches from where my face was practically pressed against the glass. Oh and guess what? 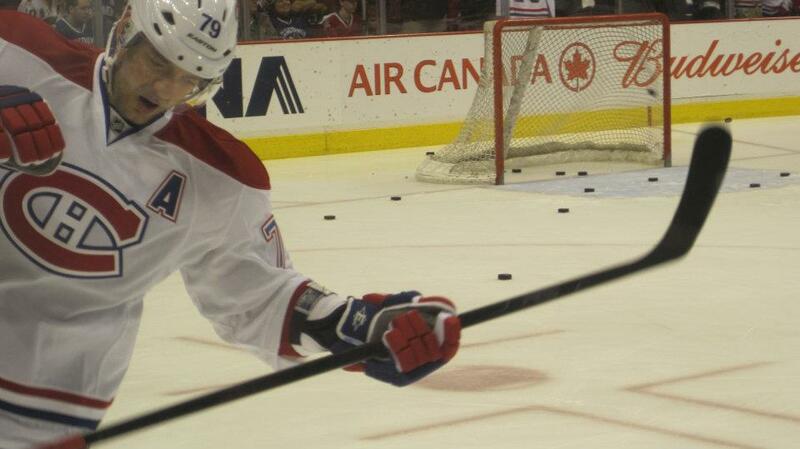 Remember how last year when I went, Max shot pucks right at me from across the ice? Well, this year, I was sitting there furiously trying to tweet out a really great picture that I got, and the lady beside me poked me in the ribs and said, “I think Max is saying hi to you.” And once again, there he was, shooting pucks at me. You guys. When the guys skate by, they’re all professional and focused on warming up and pretend they don’t see zillions of fans in the CH gawking and picture taking. The next time Max skated by, I grinned and waved furiously at him. And I swear, he looked. There won’t be a game recap, but it was a beauty. Markov was back for the first time since November 2010, Price was on FIRE, Staubitz fought, White tried to get into a few skirmishes, Subban got a goal, and Vancouver only got to celebrate ONCE. It was more than I could have ever asked for. When the 3rd started and we got another goal right away, the Canucks faithful started leaving in droves. I hmphed. 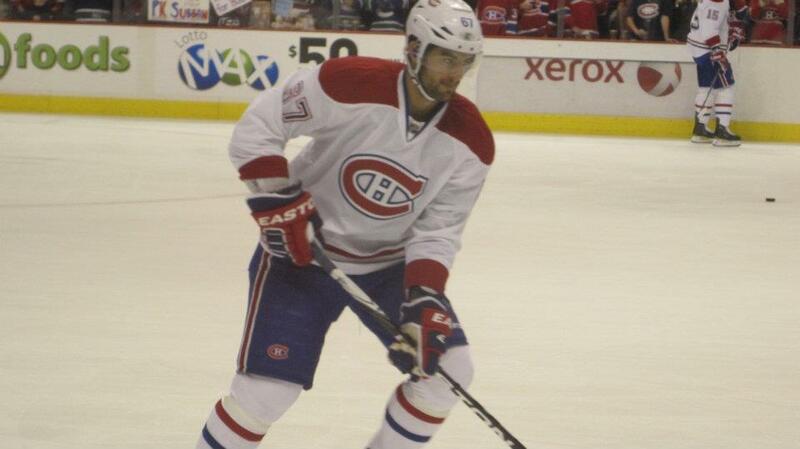 Even 3 years ago when the Habs got spanked 7-1, I still stayed until the very end. I did this time too, and was treated to the triple low five and the 3 stars…all Habs. Of course. I recorded the game so I could re-watch when I got home, with commentary. 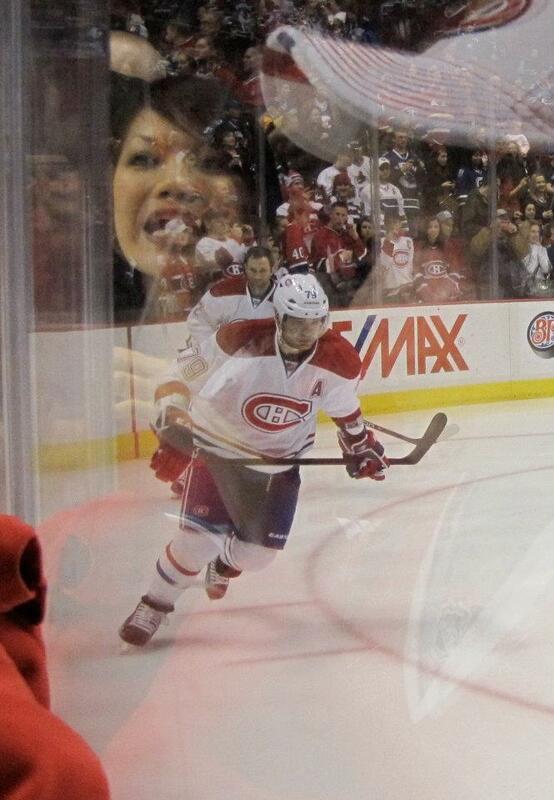 Damn, Habs fans are loud. I’ve set the game to delete “never”. Never ever. Life is just a fantasy.